Get Cheers Singapore 2017 FREE (RRP 125 SGD) With Every ENTERTAINER Singapore 2017 Purchase for a limited time only! The ENTERTAINER, the region’s leading Buy One Get One Free incentives brand, has just introduced a brand new digital product, Cheers Singapore 2017. 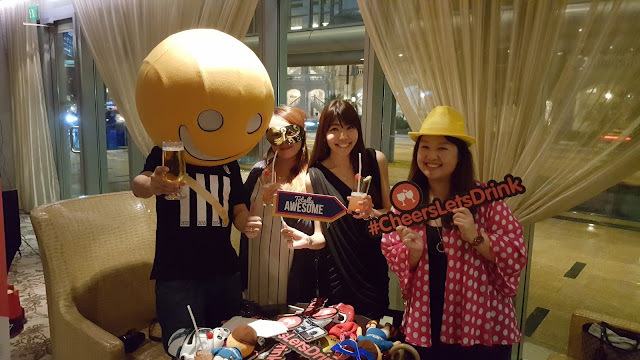 Priced at SGD125, Cheers Singapore 2017 features over 800 (eight hundreds) of Buy One Get One Free offers exclusively redeemable on drinks at your favourite restaurants, bars and nightspots. Offers range from single beverages to bottles of wine / spirits / beers, double cocktails, pitchers and more. World-class venues include LongPlay, Gravity Bar (Carlton hotel), Mad Men Attic Bar and Sentosa’s Finest - Bob’s Bar, Museo and much more. What's more, with the most recent introduction of 'Smiles’ a virtual currency system on the App, members can now earn and spend rewards throughout the year. Rewards include offer top-ups, for when you’ve used all three at your favourite spots, extra Pings and more. Right now for a limited time only, directly from ENTERTAINER app or through its website, ENTERTAINER Singapore 2017 is available for a special price of SGD95, after the discount of SGD 30 off the regular price of SGD125. What's more, for every purchase of ENTERTAINER Singapore 2017, you will get Cheers Singapore 2017, absolutely free. Don't miss out on this exceptional deal!